AutoMobile Technologies, Inc. is pleased to announce the release of our latest product designed to help collision centers and auto body shops eliminate the headaches related to manually processing data collected out in the field. 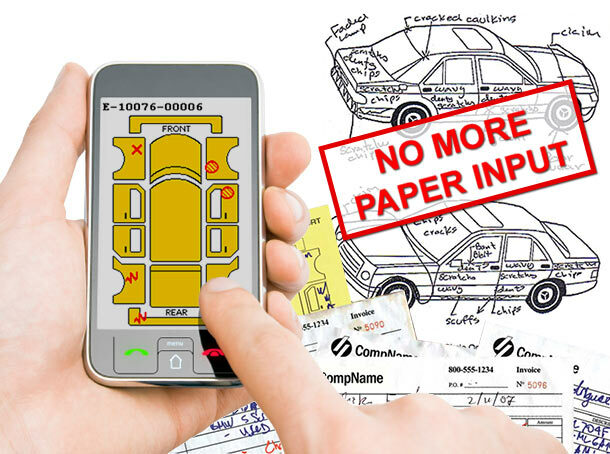 Our end to end mobile and web based solution called CollisionNotes™ streamlines the check-in and inspection process by converting all of your existing paper forms into a complete electronic application. Everything from the initial customer inspection, to the management and enforcement of required photo’s is built in. Utilizing our forms wizard you also have the ability make changes as conditions dictate. This restructured workflow allows for you to begin the check-in process directly from your web browser where the customer service representative can collect all customer, insurance, and source related information. Once completed all relevant customer data is sent wirelessly out to the estimator’s mobile computer, where additional information is collected including photos, voice notes, and the initial vehicle inspection. Back in the office the customer service representative or estimator is then able to easily tag all associated photos, and deliver all of the collected information directly into the Management or Estimate System with a few clicks of the mouse. Simplify photo management by easily tagging, capturing, and identify mandatory photo’s, with a few clicks of the mouse.